Editor’s note: It’s just 37 days until the 2018 Commonwealth Games, to be held on Australia’s glorious high-rise holiday haven, the Gold Coast. This alarming reminder brings one of the oddest, in its way quite refreshing, watch releases of the year sharply back into focus; the Conquest V.H.P. Gold Coast 2018 Commonwealth Games edition. I don’t know if it’s just us, but the topic of quartz-movement powered watchmaking also seems to be back on the agenda more than usual, with, for example, the recent release of Grand Seiko’s 25th anniversary of the 9F, with two limited editions, the SBGT241 and SBGV238. Whatever the case, the old crystal-oscillating enemy ain’t what she used to be, and curiosity about quartz is on the rise. 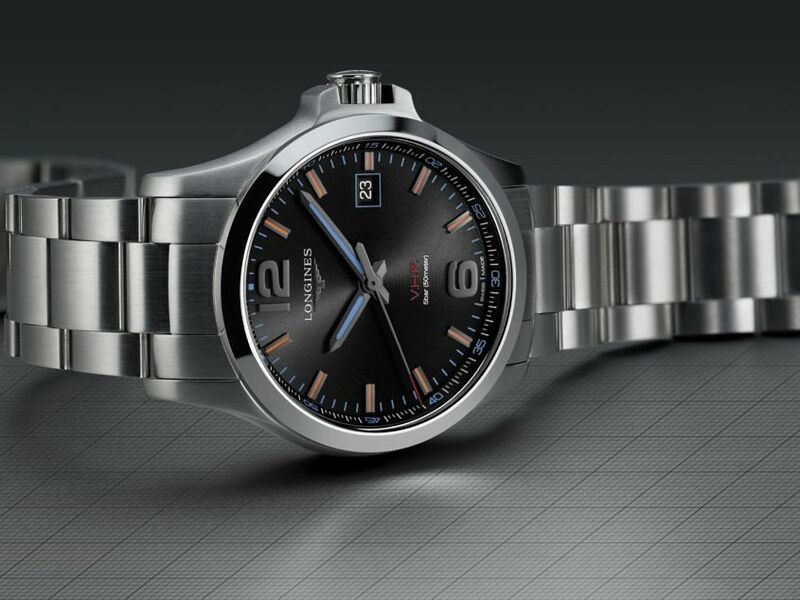 Longines is the official partner and timekeeper of the XXI Commonwealth Games to be held on the Gold Coast, Australia in April 2018 and they have just announced the watch of the Games, the ‘Conquest V.H.P. (Very High Precision) Gold Coast 2018 Commonwealth Games’. The Conquest V.H.P. 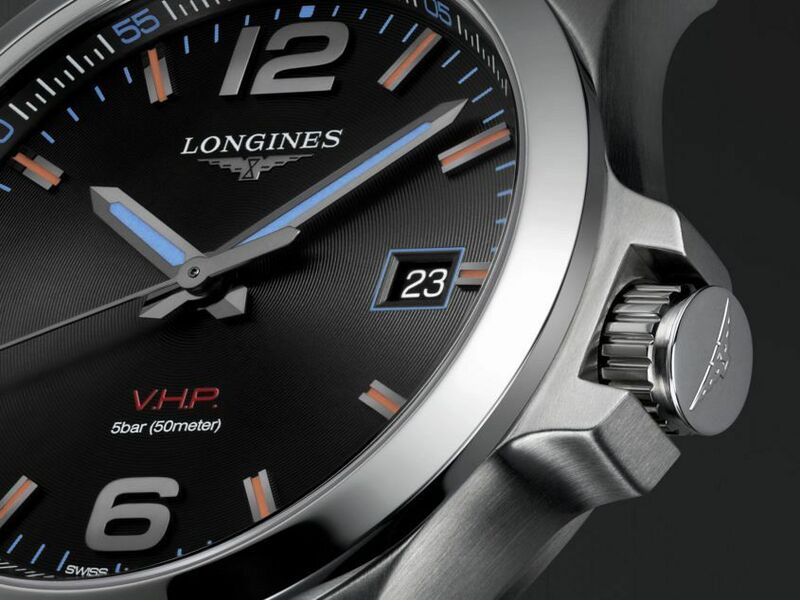 sees Longines turning back the clock to a particularly golden year for both naming components: 1954. It was the year the first Conquest watch was released and it was also the year Longines launched the world’s first quartz clock with atomic precision. This tech was at the heart of a pioneering sports timing instrument invented by Longines, the Chronocinégines. 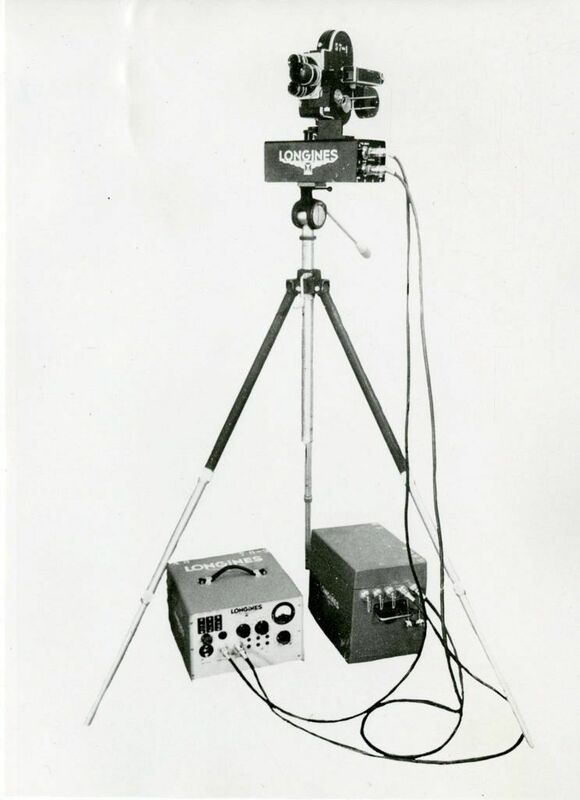 This at the time cutting-edge machine generated a film strip composed of a series of pictures recorded at 1/100th second, allowing judges to record the moment an athlete crossed the finish line. Quartz wristwatches followed 15 years later with the dashing ‘Ultra-Quartz’ model, released in 1969. 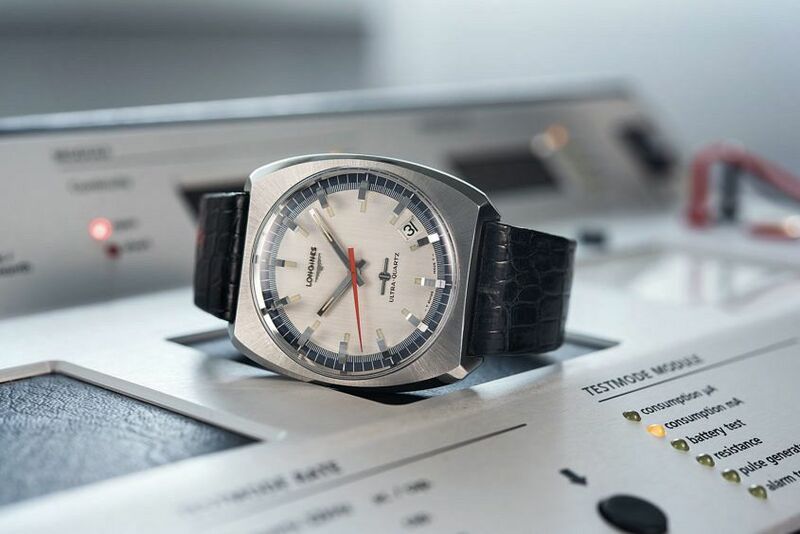 The Ultra-Quartz would not look at all out of place among modern heritage reissues with its radially brushed cushion case, applied indices and vertically brushed dial. 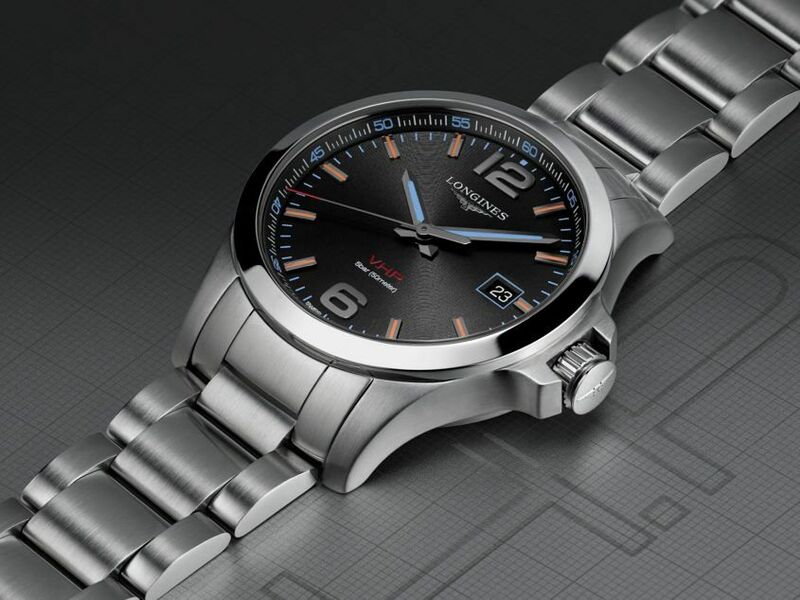 This watch is ‘Very High Precision’ by name and by nature – it promises accuracy of +/-5 seconds a year, compared to the +/- 15 seconds per month of standard quartz watches, as well as a longer than average battery life. It also has a gear position detection system which allows the watch to reset its hands after an impact or exposure to a magnetic field. 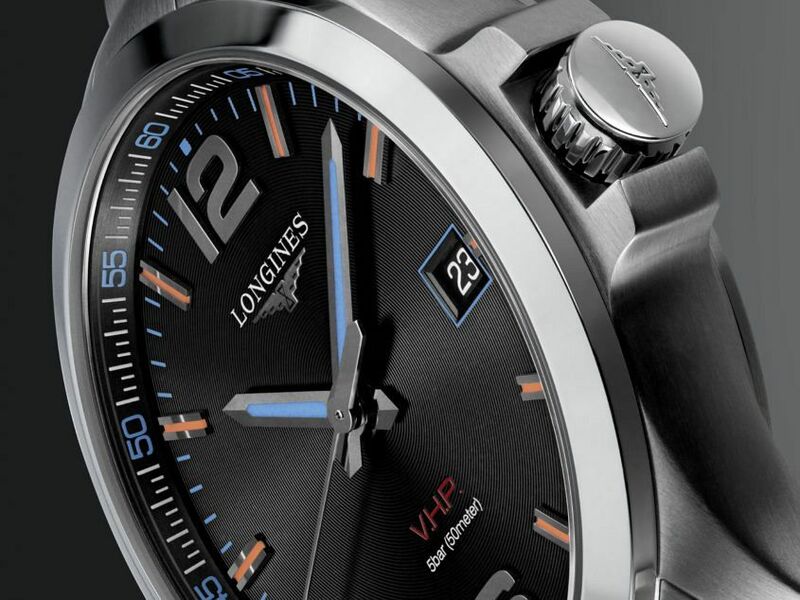 In terms of its design, the watch has a concentrically engraved black dial, oversized numerals at 12 and 6, orange indexes and blue accents on the watch hands, dial and rehaut. The caseback features an engraving of the Gold Coast 2018 logo with the mention: “Gold Coast 2018 XXI Commonwealth Games”.